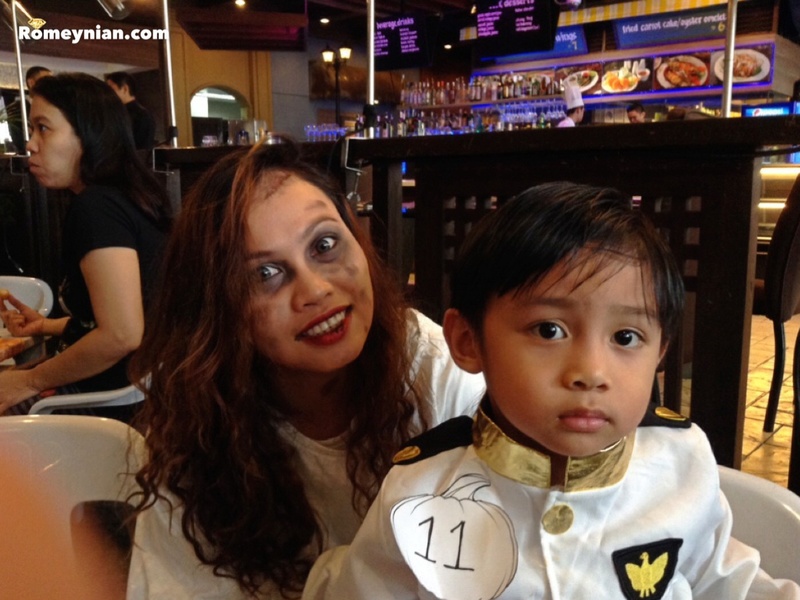 I decided that it’s time for my son Gab to attend Trick or Treat party. 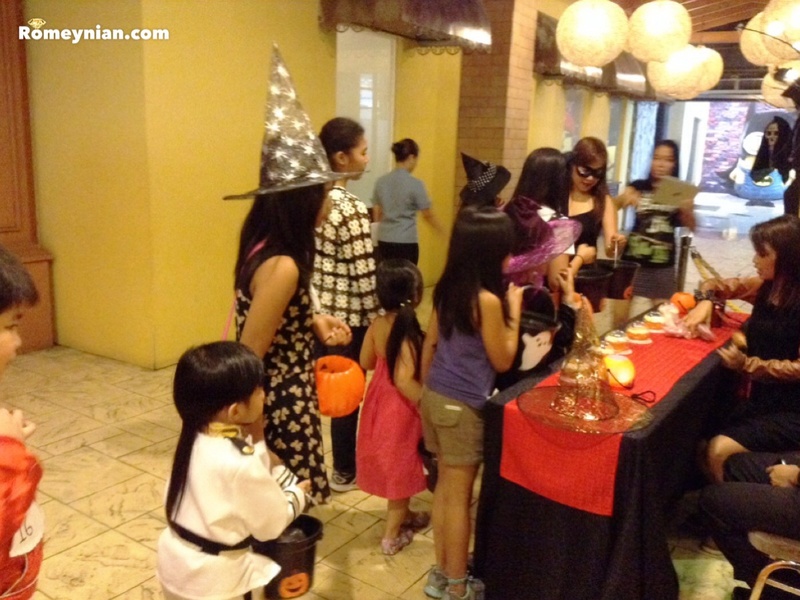 Last Halloween 2014 was my son’s first Trick or Treat at Hotel H2O, Manila Ocean Park. I bought him a marine officer costume. 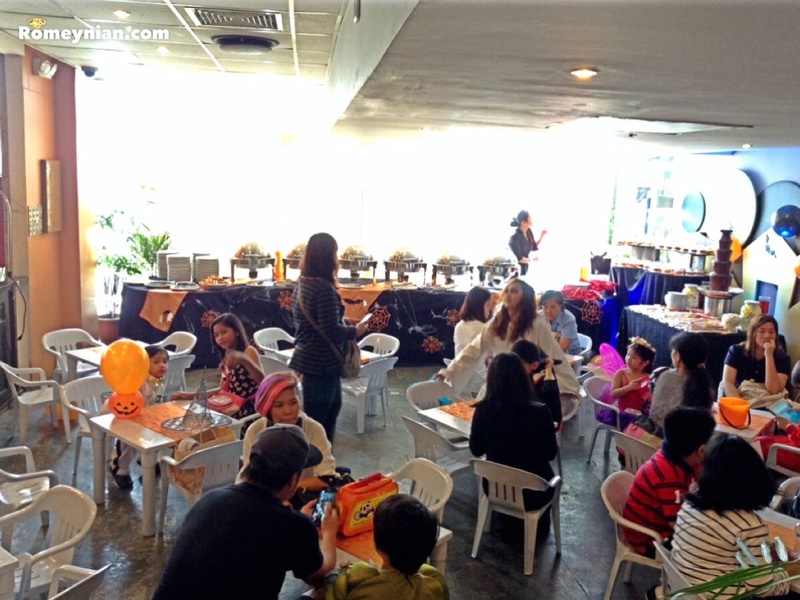 After registration, the children and their parents are seated at Makan Makan Asian Food Village. Gab and Marj patiently waiting for the party to begin. While waiting we were entertained by the friendly zombies. 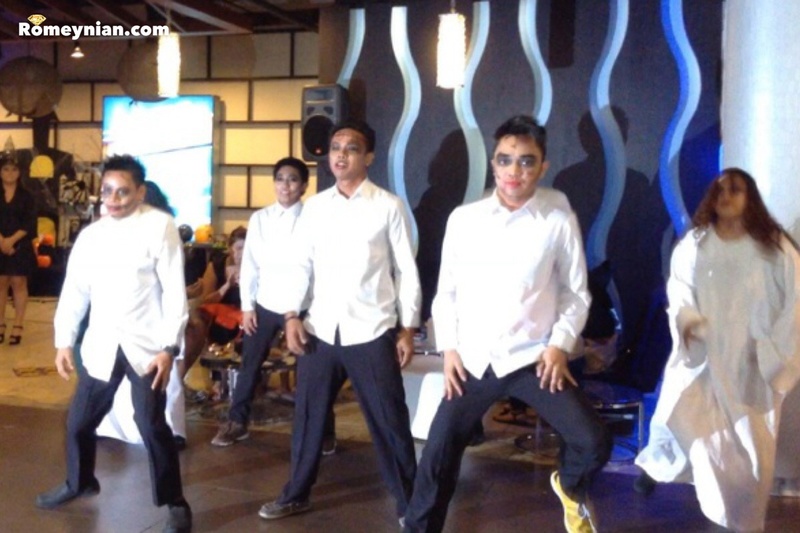 The zombies dance to the tune of…. Of course THRILLER by Michael Jackson! Then the brunch buffet is open. 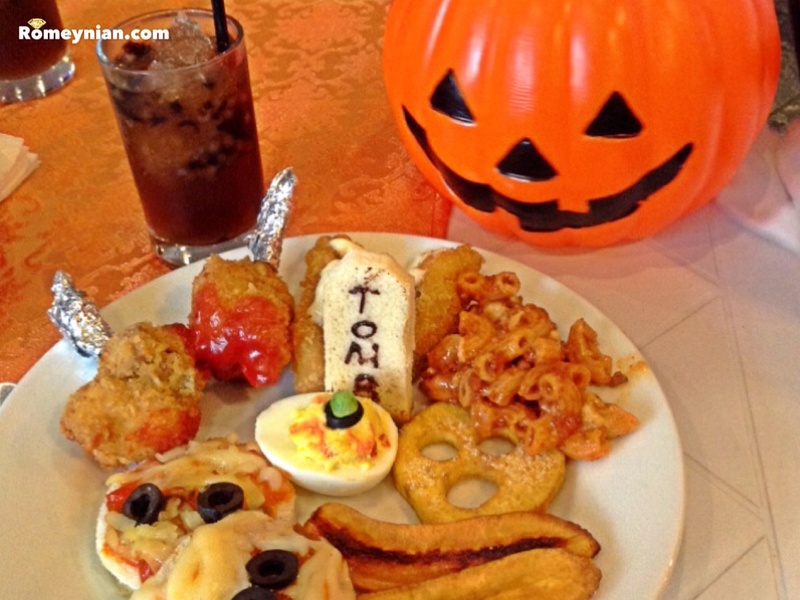 Makan Makan Asian Food Village Brunch Buffet. After eating the children were divided into groups and the trick or treat begins. 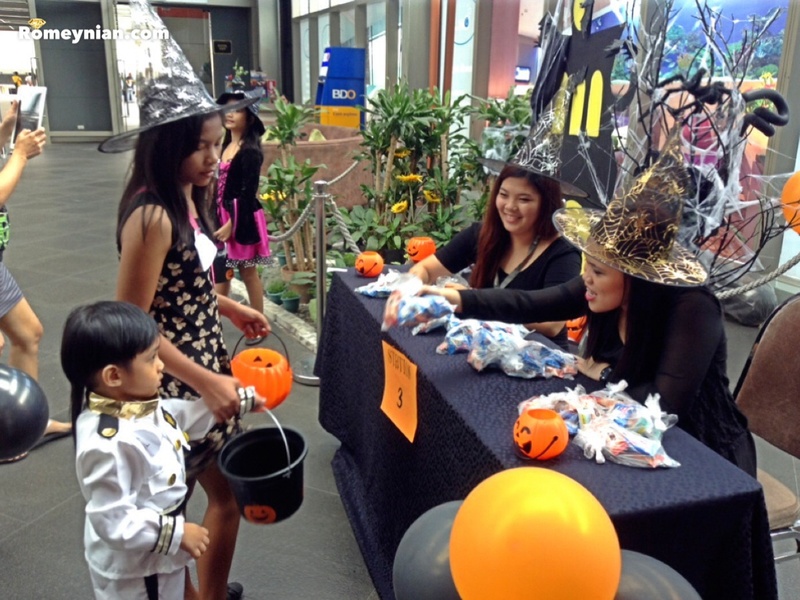 There were 5 stations that gave treats to the children. The stations were all around the Hotel. Don’t worry if you don’t have a pumpkin they will lend you one. This station is located at the main entrance of the hotel. Another station near the entrance of Makan Makan. There were different games and awards given. No one went home empty handed! Winners of the Scariest Costume. 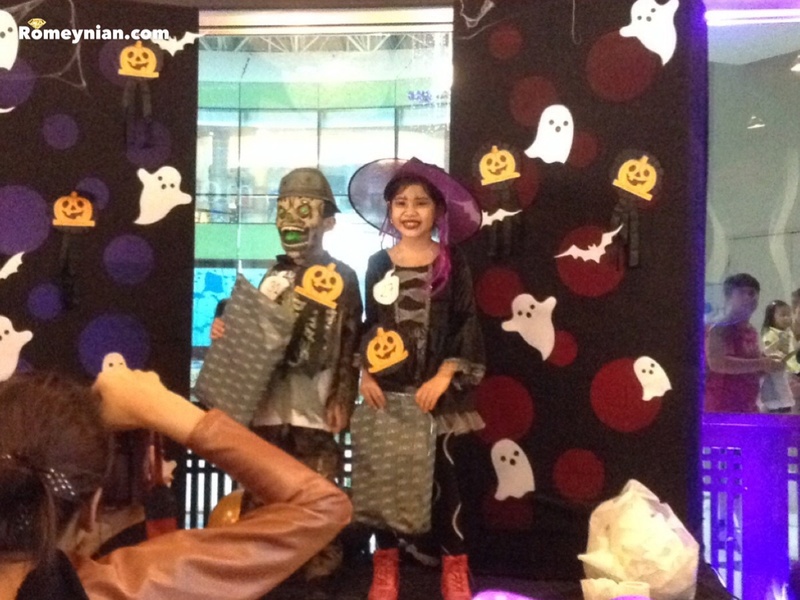 Little Mr and Ms Halloween…..TADAAAA! 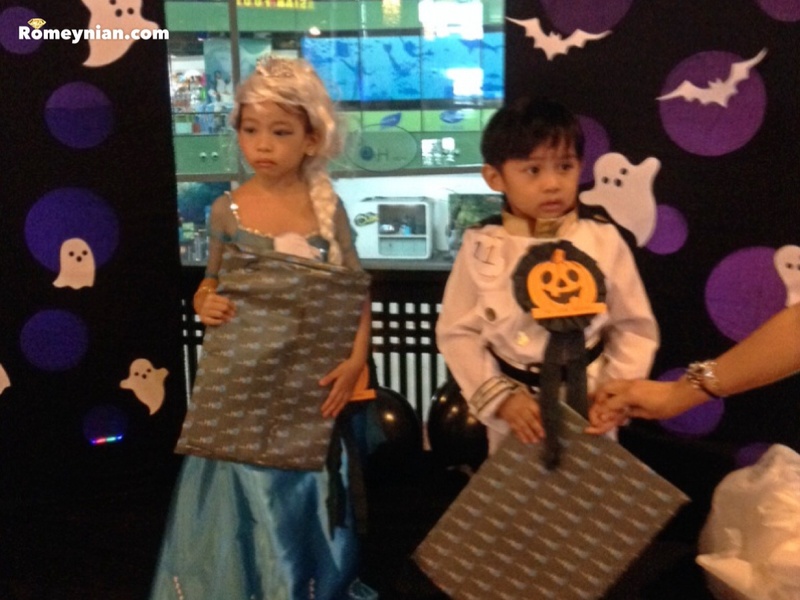 Gab won the Little Mr. Halloween award together with princess Elsa as Little Miss Halloween! 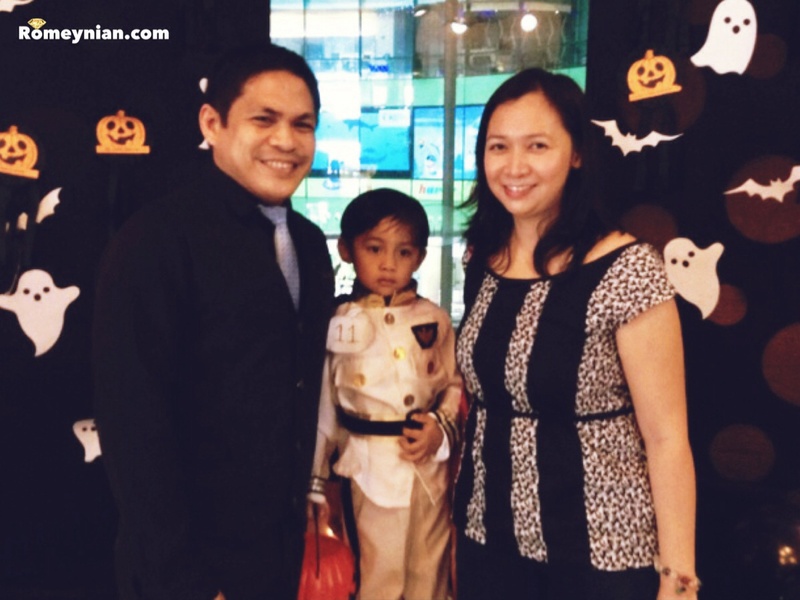 We feel blessed because it’s Gab’s first trick or treat and he won! 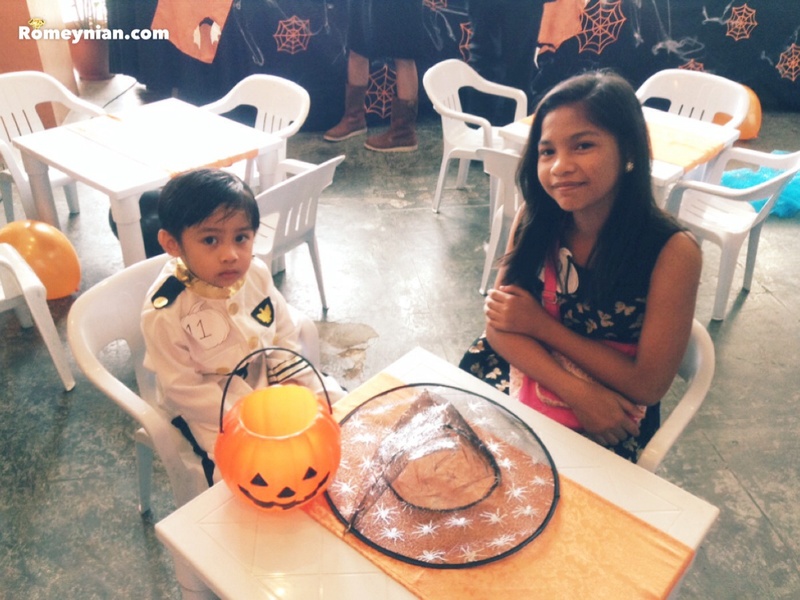 Little Ms. Halloween and Little Mr. Halloween. All children were given gifts so no one was left empty handed. Cheers to the organizer of this event! Cheers to a sparkling God given life. March 14, 2015 in Dining, FAmily, Gabee's Corner, Parenting. ← Meet Knuckles the Rottweiler.